It was a time in the history of Israel when there were a number of fads/philosophies that became popular. The simple belief in an all powerful Creator was not as attractive to many folk as it had once been. Flying in the face of the many popular traditions springing up, the great military general Joshua spoke with great conviction: "As for me and my house, we will follow the Lord". The point here is that Joshua believed in a system that worked. Simple reliance on a Power greater than himself had always been a part of his life. It was his design for living; tried, trusted and true. And when the tough times happened, he stayed the course. On January 10th, 2018 I hit a personal FI milestone. I crossed the 10 times my Annual Salary ($70K) and hit $701K. I was delighted over the next few days to watch my Net Worth climb to around 720K. Then came the crash! Ok in truth it was more of a market-correction than a true crash. I watched as my NW dropped $40K in just a few days. It was depressing to see my milestone go away and my NW hover around $680K. 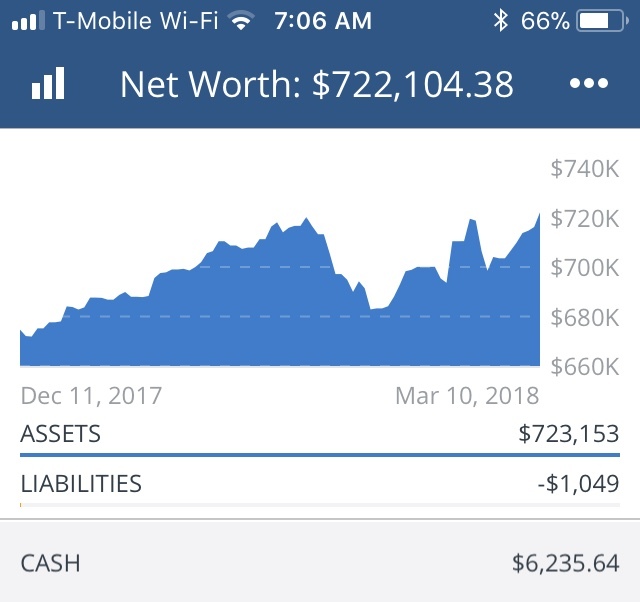 I was happy this morning to take a peek at my Personal Capital account to see my NW back where it was before the correction. Once again I am well north of my $700K milestone. If my guy Joshua can teach us anything, it is this: "STAY THE COURSE"
Financially for me this means believing in the simple philosophy that dollar cost averaging (buying the Wilshire 5000 Index), taking as much advantage of depressed markets (buying the market on sale) has yet to fail me. I trust that the market will eventually go up. It does not matter to me what the market does I am staying the course. As for me and my household, we will INDEX. Words of wisdom, this post. It amazing how the bible's lessons are tried and true. I am a husband, father of four (including twins). I love to deep sea fish. I play golf. While I am a pastor of a small Christian Church in San Diego and my faith means the world to me, I am deeply passionate about personal finances. 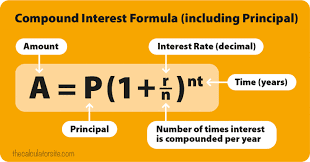 FI stands for Financial Independence; hence the monika "PastorFi".